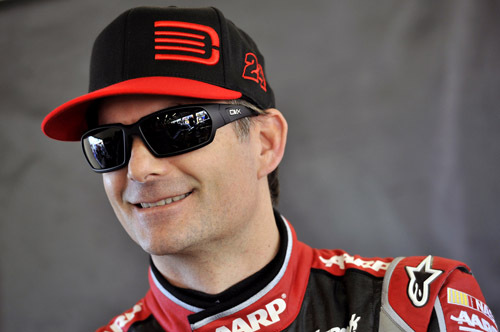 Jeff Gordon, a four-time winner at Dover International Speedway, is scheduled to participate in a free question-and-answer session open to fans on the bandstand at the Rehoboth Beach, Del. boardwalk on Wednesday, Aug. 20 at 2:30 p.m. as part of the NASCAR Victory Tour. Gordon will be joined by Sam Calagione, founder of the Dogfish Head Brewery, who is serving as Coastal Delaware’s ambassador and will welcome him to the area. The four-time NASCAR Sprint Cup Series champion will be in Delaware promoting the Sept. 28 “AAA 400” NASCAR Sprint Cup Series race at Dover International Speedway, and will be joined in the Q&A by Sam Calagione. Mike Bagley, of the Motor Racing Network and host of The Morning Drive on SiriusXM NASCAR radio, will emcee the event. The free event is open to the public and will take place at the bandstand on the Rehoboth Beach boardwalk, located at the end of Rehoboth Avenue. Just five weeks after this event, Gordon will head to the Monster Mile for the first-ever knockout race in the newly-formatted Chase for the NASCAR Sprint Cup. The final race in the Challenger Round will see the championship field of 16 reduced to 12 when the checkered flag flies, and with two wins already this season and control of the points lead, Gordon is locked into The Chase for 2014 as he prepares to vie for his fifth career title. NASCAR returns to Dover International Speedway Sept. 26-28 for the Sept. 28 “AAA 400” NASCAR Sprint Cup Series race, the Sept. 27 NASCAR Nationwide Series race and the Sept. 26 “Drive Sober 150” presented by the Delaware Office of Highway Safety NASCAR K&N Pro Series East race. For tickets or more information, call 800-441-RACE or visit DoverSpeedway.com. You can also keep up with the Monster Mile at Facebook.com/DoverInternationalSpeedway, or on Twitter at @MonsterMile and Instagram at @MonsterMile.